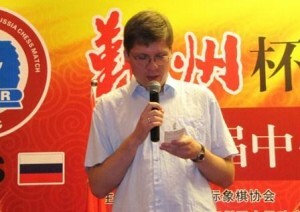 At the time of writing, 29-year-old Vladimir Malakhov’s Wikipedia entry states, “Malakhov is not a professional chess player; he works as a physicist”. His Chessgames.com profile mentions his recent successes, “despite his main line of work as a physicist”. Of course it’s a great story, especially when the physics involved is nuclear… but the reality, that Malakhov is a part-time nuclear physicist and a professional chess player, is hardly less impressive. In the interview he gives a glimpse into the practicalities of how an elite player can maximise the limited time available to him (Malakhov just became the father to a second baby girl) – most notably, by not studying endgames! Add that to his not having read a chess book in ten years and you might think there was something to the “amateur” tag, except that he suggests a professional chess player needs to have read everything by the age of 19. The interview’s also well worth reading for a “famous books I’ve never read” moment. Malakhov was in Warsaw to provide a sparring partner for Mateusz Bartel, the current Polish Champion. That ended in a crushing 5:1 victory for the Russian (you can find the games here). Malakhov’s first answer, which I’ve left out of my translation, involved an analysis of the games and the line, “As consolation I can say that four defeats is a colossal amount of material for analysis…”. The only other thing I’ve skipped is the last question about the situation in the Russian Chess Federation. Malakhov gave a long and accurate response, but avoided expressing any newsworthy opinions. You studied physics. How did you end up deciding to become a professional chess player? There’s never been any special chess tradition in my family, whereas in physics my father is a researcher and my mother lectures on physics at the university in Dubna, a town 2 hours by train from Moscow and famous around the world for its Institute of Physics. My dad taught me to play chess when I was 5, but I first took part in a tournament when I was 7. I made quick progress, first becoming under-12 Russian Junior Champion, and then runner-up at the World Championships in the same category (when I was 11), and a year later, at 12 years old, I was the under-14 World Champion. It wasn’t successes as a junior, however, that made me decide to become a chess professional, because in such competitions, as a rule, there are only a few good chess players, and although it’s nice to win it doesn’t mean that much. Besides, I didn’t achieve any other spectacular successes as a junior and only achieving grandmaster status as a 16-year-old was a sign that I had some sort of particular chess talent, while crossing 2650 in the rating list at 17 added some support to that view. 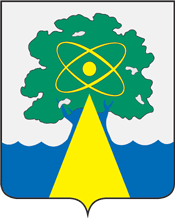 Living with parents who were physicists in Dubna it was obvious that I’d study physics, though choosing that subject at the Defence Faculty was decided by the fact that it meant I could avoid 2 years of service in the army. Did you have any particular academic achievements at school? Yes, in year 11 I won the first stage of the all-Russian Mathematics Olympiad, but I didn’t travel to the final as… I had a chess tournament planned for the same time. Unfortunately my school took offense. I only took the decision to become a professional chess player, though, after I’d graduated at 22, when for the first time in my life I achieved an ELO rating above 2700. Nevertheless, immediately after my studies I took up a job at the Institute of Physics. They did, however, regularly help me out when I wanted to travel to competitions or chess training sessions, with my absences sometimes becoming extended to as much as 2-3 months. My physics suffered as a result, and currently I can only say about myself that I’m an amateur physicist, as it’s a long time since I last worked in the Institute. Would I like to return to physics? A researcher in Dubna earns around 400 euro a month, while a good chess player gets 2-3000 euro, depending on how strongly he plays. I could, it’s true, emigrate to Italy, like my parents (my father currently works in the CERN European Organization for Nuclear Research in Geneva and is convinced that I could do the same), but I love Dubna, I love Russia and I really don’t intend to move, although life here is by no means cheap. My family spends around 1000 euro a month on basic needs. And who had the greatest influence on your achievements in chess? As a child I went to sessions at the local chess club. Then trainers of the first or second category set me various tasks, suggested chess books to read, and told me to take part in training tournaments. My longest, two-year, cooperation with a trainer was with a certain candidate master, but he didn’t live in Dubna, so our meetings were rare. I could therefore say that I never had a permanent trainer. It was only before the Under-14 World Championship that GM Arkhipov helped me to modernize my opening repertoire, as a result of which I won the title, but that repertoire was only good for opponents with a 2500 rating, but not 2600-2650. I don’t recall the Russian Chess Federation at the time organizing any training sessions for juniors, even for the best who were representing Russia in international competitions. Fortunately there weren’t computers at the time but there were chess books and the informants, the study of which, in my opinion, was of no less benefit. What sort of influence did that have on the evolution of your opening repertoire? Selecting an appropriate opening repertoire is key when you’re playing with the black pieces. As a junior for many years I’d play 1…c5 in reply to 1. d4. Unfortunately it was only years later that I came to realize that it was a weak move, immediately giving up the centre and ensuring white an advantage. Meanwhile, after 1. e4 I’d play the Accelerated Dragon (1.e4 c5 2. Nf3 g6), but above a certain level, which was a real shock to me, it simply stopped guaranteeing equality. Therefore I concluded that when playing strong chess players I couldn’t immediately give them the initiative and… I decided on the Classical Dragon (2…Nc6) after 1. e4 and the Slav Defence with a6 after 1. d4. That was a proverbial bull’s eye! The Slav gives you equality very quickly, which improves my frame of mind at the very start of the game, while the Classical Dragon is much better than the Accelerated one, although there are, of course, lines in which white can pose black many problems. That was why, at Dreev’s suggestion, I also started to play the Rauzer Variation of the Sicilian Defence, but when it turned out that it didn’t suit my style of play I prepared the Berlin Defence in the Ruy Lopez for the Candidate’s Match with Grischuk in 2007. It’s interesting that despite that game ending in a draw I didn’t use it again for the next one and a half years! The more often I play the line at present, however, the better I see that the structures of the Ruy Lopez suit my style much better than the Sicilian Defence, although it’s precisely in the Berlin that white has good chances of obtaining an advantage. It’s a completely different matter to build an opening repertoire for white. I’ve already tried everything and, to tell the truth, I don’t know how you can obtain an advantage playing with that colour against a top-class opponent. In order to get a better position in any line you need to devote a lot of work to studying games and analysing key positions. Often it turns out that in order to obtain an advantage around the 27th move you have to work intensively for a whole month! And I don’t like to do that, as no-one can guarantee me that the work I put in will be converted into tangible results. So I rely on versatility, by which I mean an advanced, but perhaps not especially deep, understanding of the most varied range of possible opening lines. Then, for a particular opponent, you can simply choose the one which will be most unpleasant for him. And it works. In one of the games from this year’s World Cup, against Mamedov of Azerbaijan, I chose an apparently unpromising opening line, but one which really didn’t suit my opponent, and the result of the game was already determined after 10 moves! With black, of course, you can’t play that way as it can lead to a rapid loss. With black you have to play for equality. Although I have good recollections of my cooperation with GM Dreev before the Candidates Match with Grischuk in 2007, I currently work alone, supported only by a computer. And does that work? Yes, as I’m disciplined and simply know what I need to do and when. When you have a small child, however, it’s only possible to work 1-2 hours in the evening, and even then not every day. As a rule I begin by downloading games from the internet with commentary and get to know the new ideas. I only end up working a whole week without breaks when I start to analyse some new lines or to widen my general knowledge of opening theory, though in that case I don’t go too deeply into the details – if in some line the play is equal, and also static, then it’s not worth analysing any further. It’s different if the position is sharp and dynamic, as then it’s hard to get by without analysis. And what do you think about books on chess openings? They’re a waste of time. The fundamental thing should be working with computer databases (I use Chess Assistant and Rybka). If you’re interested in a position then you first need to select all the games from the database where it occurred in encounters between players with a rating above 2600. If there are e.g. 500, then you need to choose about 50 of the most interesting ones and analyse them deeply with a computer, particularly if you want to add some new moves to your repertoire. Sometimes that might take a week, sometimes a month. There’s no rule. In the last 10 years, not a single one, as you can’t become a chess professional if you haven’t read them all earlier. I studied chess until I was 19 years old, while after that I simply didn’t have time. I’m not an exception – Adams, for example, says the same about himself. From my youth I particularly value reading “My System” by Nimzowitsch, the Botvinnik – Smyslov game commentaries, the 5-volume selected games of Botvinnik, the “New York 1924” tournament book with Alekhine’s commentaries and the “Zurich 1953” tournament book with Bronstein’s commentaries. Well, and also the book on rook endgames by Smyslov and Levenfish, although I didn’t actually find anything in it that I didn’t already know. In endgames, after all, it’s important not only to know the theory, which you can get from books, but to have intuition, which you can’t learn. It shows up with me, for instance, in the fact that all the “R + B v R” endgames that I’ve had in my life I’ve won as the stronger side, and drawn as the weaker side. I also heard that the “AVRO 1938” tournament book in the 2006 edition is interesting, but I’ve yet to get my hands on it. Among chess periodicals I only regularly look at “Chess Informant” and also “64”, though the latter is mainly for gossip and news. It’s embarrassing to admit, but I’ve never used any of Dvoretsky’s manuals and I haven’t studied Fischer’s “My 60 Memorable Games”, which must mean that it’s possible to become a grandmaster without knowing them. Well, but you probably solve some combinations from time to time? Not at all! And maybe that’s why I occasionally leave pieces hanging. I’d only add that I have a good memory and if I see an interesting position once then I never forget it. If it comes to games, then I only completely remember those key ones, as why should your mind be cluttered up with the less important ones? In general, I don’t work on endgames. Devoting a week to studying the “R v B+P” endgame, which in practical games might occur once in 10 years? It’s not very practical. It’s better to devote that time to analysing openings, which might have a real influence on improving your results in upcoming events. Such an approach to training is used by a lot of players at the very highest level and maybe that’s why you get a “comedy of errors” in many of the games they play in certain unusual endgames. That doesn’t mean that the elite have no knowledge of endgames in general. The benefit of knowing such exceptional ones, however, has a minimal influence on results, and even if you once fail to win a won one, or to draw a drawn one, it’s nothing disastrous, as during a player’s career they’re only isolated incidents. To sum up, if a chess professional wants to progress then he needs to concentrate his work on 3 areas: on a never-ending fine-tuning of his opening repertoire as black and extending of his opening range as white, on following new ideas in current games among the elite, and on the game itself, as without that no progress is possible! Only rapid, as it allows you to develop the ability to take decisions quickly. And it also helps to promote chess, as there aren’t many fans able to endure 6-hour rounds. While blitz is simply a waste of time. What most appeals to you in chess? The game itself, which I love above all else! In the distant future I wouldn’t rule out becoming a trainer (maybe over the internet), though I don’t even think about writing books or articles about chess, as the effort required doesn’t convert into profits, and by nature I’m very practical. Playing in events is something else. I love to have the initiative and I play that type of position very strongly, while in turn I play much more weakly when my opponent has the initiative in a complex position, or has developed an attack on my king. I have no problems, however, in the endgame, though that, as I said before, is a question of intuition. What rating, in your opinion, guarantees that a player will be able to make a living from chess? Only above 2700. I’d particularly warn young chess players with a rating of 2550-2600 from becoming professionals, because they’ll face certain problems. Firstly, because chess isn’t as rich a sport as e.g. football, and secondly, because at that level there’s a huge amount of competition. For that group of players the reply to the question of whether they should continue to devote all their time and energy to chess should be “no”. If there’s a chance of achieving success in other spheres of life, then they absolutely should take it. And even child prodigies should bear that in mind. Of late you’ve been making continual progress. Do you have ambitions to get into the top 10 chess players in the world? I’d have to know openings better, but you need to do a lot of work on that, particularly if you’re working alone. And I don’t dream of working in a team because I put my family life first. Forming a team to work for me would force me to radically alter my style of life, and I’m not sure that I’d then be happier. At the moment no, as she’s bringing up our children, but she’s a qualified English teacher. If we have a little time we love get out into nature, which in Dubna is possible simply by walking out of the yard onto the street. We also like to watch television, particularly sports programs (for me – hockey, football, basketball and snooker, while for my wife – figure skating, gymnastics and biathlon). And when I’m tired I relax by reading books on physics, as I only read novels – mainly Agatha Christie’s detective stories – when I’m travelling. Despite claiming not to have studied the formal theory in great depth Arkell’s won e.g. 17/17 of the R+B v R endings he’s played (that whole 3-part interview is an interesting read!). Unfortunately Khalifman, unlike Malakhov, didn’t avoid military service. 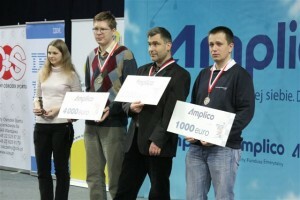 If you add Krasenkow – http://crestbook.com/en/node/1287 – then you have examples of 3 obviously highly-talented Russian youngsters who were all left without any significant support at an early stage in their careers. The legend of the Russian School of Chess sometimes obscures the fact that in recent times Russia’s been a very tough place to succeed as a chess player! Fantastic article! Thank you so much. mishanp: fantastic job with these articles.